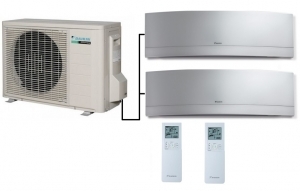 The Daikin multi outdoor unit model 2MXM50M9 with two Daikin Emura indoor units in silver, these indoor units are also avialable in a crystal white finish. Each indoor unit comes with its own controller and can be independently controlled from the other in the same mode be it heating or cooling mode. 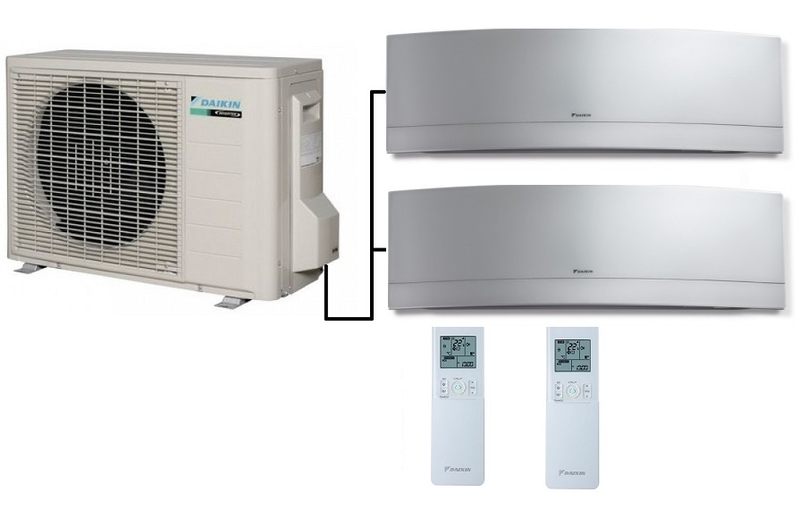 The stylish Emura indoor units have a host of advanced features as you would expect from the flagship range of indoor units from Daikin.